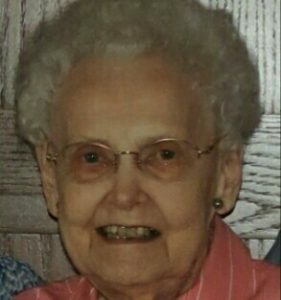 Eleanor Tetzlaff, age 91, of Port Washington, WI; formerly of Redgranite, WI, quietly passed away Wednesday, August 30, 2017 at the Lawlis Family Hospice in Mequon. Prior, she had been a resident at Lincoln Village in Port Washington since January, 2016. Ms. Tetzlaff was born on July 4, 1926 in Berlin, Wisconsin, the daughter of Frank and Anna (nee Tetzlaff) Nigbor. After graduating from Redgranite High School she attended Waushara County Normal School and began teaching at the age of 19. In 1949, she married Richard Tetzlaff in the Town of Marion and later moved to Redgranite in 1959. She continued teaching at Pine River and Riverview Elementary schools until 1985 when she retired. In 1999, she and Richard moved to Port Washington to be near their only son and his wife. After her husband passed away in 2000, she moved in with her son and his wife until her move to Lincoln Village. She put her skills as a teacher to work and volunteered at Dunwiddie School providing remedial reading instruction for almost 10 years. Ms. Tetzlaff is survived by her son Randy (Beth) of Port Washington; grandson Robin (Brooke) and grandchildren Landon and Leighton, of Grapevine, Texas. She was preceded in death by her husband; her parents; brothers Clarence and Stanley; and sisters Helen, Dorothy, and Leone. At her request, no funeral service will be held. Interment will be at St. Paul’s Lutheran Church in Berlin, Wisconsin. Memorials to the Lawlis Family Hospice, 13111 N. Port Washington Road, Mequon, WI 53097 are suggested. POOLE FUNERAL HOME/Crematory, Port Washington,WI assisting the family. Information and condolences at www.poolefh.com or 262/284-4431. So sorry to hear of the loss of your mom, mother in law and grandmother. I know you all will have a lot of memories to get you through this tough time. My deepest sympathy to all.